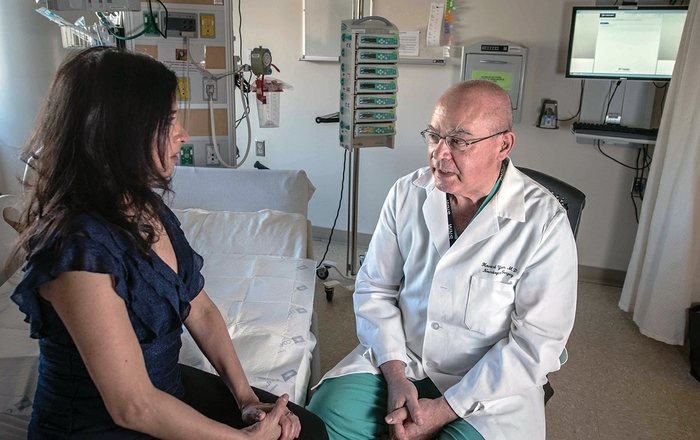 People diagnosed with a rare but dangerous brain condition will gather on The University of New Mexico Health Sciences campus this weekend to hear about the latest research into potential treatments. The conference on Saturday, April 13, is hosted by UNM’s Department of Neurology in collaboration with the Angioma Alliance, an organization focused on meeting the needs of people with cerebral cavernous malformation (CCM), said Atif Zafar, MD, an associate professor of neurology and head of the department’s stroke team. More than 100 people are expected to attend the CCM Family Conference, scheduled to run from 8:30 a.m. until 3:30 p.m. in Room 3760 of the Domenici Center for Health Education, North Building, 1001 Stanford NE. Guest speakers will include clinical experts in neurology, neuroradiology, epilepsy, sleep medicine, genetics and neuropsychology, as well as scientists who are doing laboratory research on the disease, Zafar said. In people with CCM, small blood vessels in the brain can sprout leaks. These often don’t cause overt symptoms, but in some cases the brain bleeds can become life-threatening, causing seizures and severe headaches. Sometimes surgery is required, Zafar said. While many CCM cases appear to arise spontaneously, UNM researchers have shown that people with northern New Mexican Hispanic ancestry are at a somewhat higher risk because of a long-ago mutation in a single ancestor that has been passed down through generations. Earlier this year, the New Mexico Legislature passed a memorial calling upon UNM and the Department of Health to appoint a committee to study funding levels and new sources of support for CCM research. 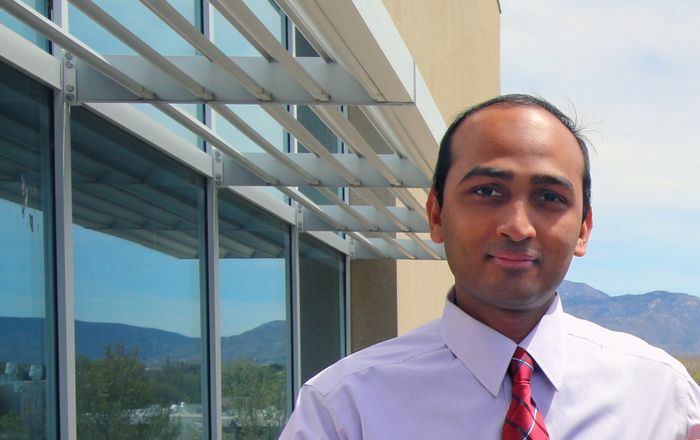 Currently, UNM scientists are collaborating with a team at the University of California, San Diego, to see whether breathing-assistance devices ordinarily used to treat sleep apnea might reduce the number of bleeds in the brain, Zafar said. That’s based on a theory that the diminished oxygen in a high-elevation setting like New Mexico might contribute to the problem. Another study focuses on the gut microbiome, the population of native bacteria in our intestinal tracts that play a major role in modulating the immune and nervous systems. One potential treatment focuses on eradicating a particular bacterial strain that may cause blood vessels to leak, Zafar said. Still another study looks at whether placing patients on the cholesterol-lowering drug atorvastatin might be of benefit, because it is known to stabilize the lining of blood vessels. Research specialist Myranda Robinson in Zafar’s department is charged with recruiting people to participate in the CCM studies, he said. People whose relatives have been diagnosed with CCM and who suspect they might also have it can receive genetic testing. Many patients will remain symptom-free, so they are advised to follow up with a neurologist once a year, and get an MRI study of their brain every three to five years, Zafar said. Patients with clinical symptoms should get an MRI and be evaluated for treatment of their condition, he said. Meanwhile, the department’s collaboration with the Angioma Alliance is helping to spread the word.